← 2011 Book Tour Kicked Off in North Carolina! The day finally came, as I knew it would, when this baby I have been nurturing for four years would get born into the world. And it is fitting that it happened in the season of the Spring Equinox – a time of new beginnings and new doors opening, when life begins to stir in the Earth and small but hearty bloosoms push their way into the light of day. The book is beautiful. And I am grateful to every single person who had anything to do with making it happen. We celebrated last night at my friend Nancy’s house – scrumptous food and lovely flowers, Champagne toasts and tears of joy, laughter and dancing – all of it! Thanks to my friends Nancy, Pat and Fred, it was a perfect evening! Whew. These days, life is about as good as it gets. I am grateful. 3 Responses to My book has arrived!!! I am very proud of my Sistah Gera. It just shows the perseverance of a midwife. When you’ve struck a midwife; you’ve struck a rock. She persevered with great faith in Ochun/Yemaya/Isis to birth her story of modern midwifery in the US. Go girl…gotta love it. WOW! All I can say is WOW! The book is beautiful – I instantly ordered it – and it is so wonderful to see your SMILING beautiful face! What an incredible journey your life has been and continues to be! I continue to be amazed, inspired, and influences by your ol’ magnificent self! BIG congratulations to you, Gera! 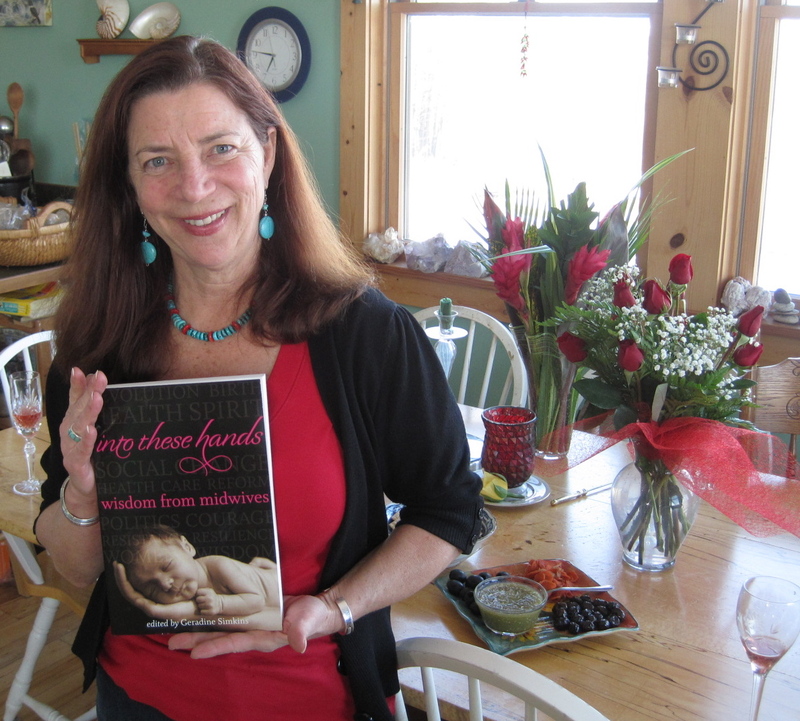 I’m anxiously awaiting two copies from Amazon: one to keep, and one for a dear friend who just became a doula here in the Twin Cities.